A must for children. 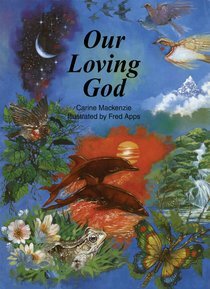 Carine Mackenzie tells us about the nature and attributes of God with stunning artwork, specially commissioned in oil, from Fred Apps. - Publisher 'We were nearly there when some figures blocked our way. I went cold all over. This was no chance encounter. They had planned this and waited for us. This was it. ''Move out of the way Blackie' the skinhead said. 'We got business with your friend.' Star Smith has enough problems in life trying to keep her wacky family a secret. Then a black girl arrives on the scene.... With the racist attitudes of kids in her area Star knows that if she befriends Ebony she could lose more than her reputation.